It was the 1980’s and there was no better man for the action packed sci-fi feature Predator than Arnold Schwarzenegger, as a military man hot on the heels of an otherworldly enemy. Three decades later and The Predator franchisee is still going strong. In this new instalment, The Predator, we see several PTSD-afflicted soldiers fighting off an attacking pair of Predators. When a Predator ship crashes to Earth, Army Ranger sniper Quinn McKenna is in the firing line from both the alien as well as government agent Will Traeger, who is following his own agenda and has no time for someone in his way. After mailing himself part of the Predator’s armour he is captured and sent off on a bus with several other individuals while the Predator is captured but escapes. McKenna’s and his bus of delinquents set out to hunt the Predator down, along with the help of evolutionary biologist Casey Bracket, but run into several hiccups along the way; alien dogs, bigger bullies and unstable military men. How can things get worse? The appearance of the Predator is like nothing you have ever seen before. Evolutionary biologist Casey Bracket wants to study this creature and understand its existence. On screen we see how these creatures have evolved from the original. Their animal instincts have become stronger; they are more overpowering; although it has human like features their alien appearance (mouth) remains quite a slight. As the second predator appears we see how they have evolved even more as it adapts on screen – it doesn’t have an armour suit but is literally made of armour; a war machine with his skeletal structure evolving before our eyes. Even the hounds that it brings along have a predator like appearance – combine the dogs from Ghostbusters with a Predator and you’ll get the idea. Not only has the Predator’s appearance evolved, but the weapons it uses are no longer primal but technologically advanced with shoulder laser cannons among others. The amount of violence present is just as you would expect from a Predator feature. Body parts are dismembered, blood is a plenty and gun fire and explosions are a must but is done in a way that it doesn’t overpower the sci-fi element and keeps the main focus on the creature trying to rampage through the planet. One thing that keeps the mood light is the humour aspect provided by the soldiers choosing to defend the planet. These soldiers, misfits, untrustworthy men or “looneys” as they call themselves make light of something much more serious – the effects that war can have on a human mind. They are not body builders but honest human men that use humour to overcome sadness, fear and the horrors of their past. There are two particularly notable soldiers, one of which has Tourette’s, and together they have gone through so much in war as troops, then the courts and now have a love hate friendship that they will have to their deaths. 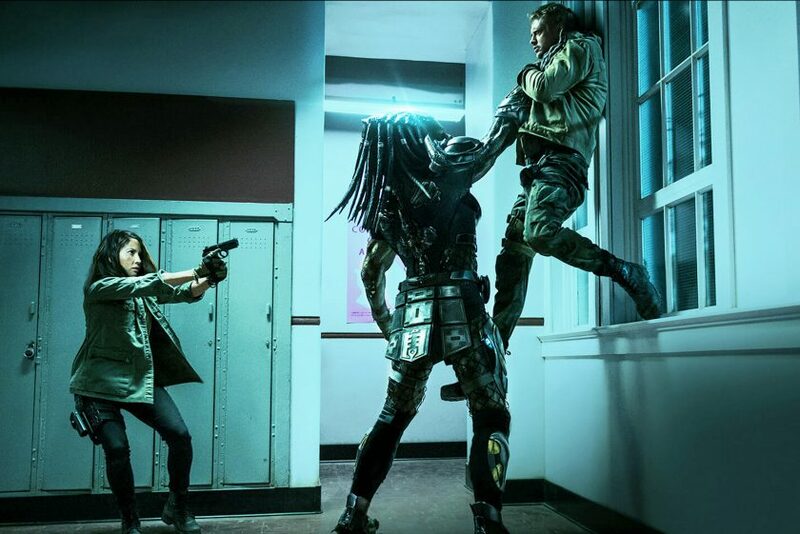 The great thing about the Predator franchise it that it hasn’t been repeatedly remade and reimagined to the degree that you have become bored of the same thing over and over again. Considering the time between this sequel and the original, there have only been a handful of other movies in the middle, each one taking a new approach to the alien invaders. As this sequel goes to show you can keep a franchise going through development of characters, technological advances in equipment and not running something through the mill so much it becomes torn and ready to the thrown out. 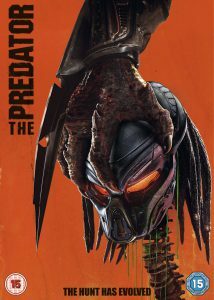 If you are looking for violence, comedy, surprise and just enough craziness then The Predator has it all.